What could be better than Mr. Magoo? In my last post, I mentioned that I am reading A Christmas Carol to my son. I want him to know the original text. Here’s how I discovered the original. I first stumbled across A Christmas Carol one January when I worked at a bookstore. Normally, mid-January is not the best time to read a Christmas tale, but for a retail worker, that is about the time when you finally are allowed to enjoy the Christmas season, so it was not an untimely find. I found it among some unsold Christmas books, pulled from the shelves when their season passed. Having nothing better to do on my lunch hour, I began to read. I’d never read Dickens in school and I thought I had done well to avoid him. I’d known the plot of this story since toddlerhood, when Mr. Magoo performed it for me. I expected to find that this Dickens fellow had merely supplied a stiff, uninspired outline that Mr. Magoo had turned to gold with his top-of-the-line production values and his sterling acting ability. I was mistaken. I found myself engrossed in an excellent story, beautifully told. Dickens did not bore me; he charmed me. If I had not loved this story until that point in my life, it was only because Mr. Magoo, and all the many Scrooges in film, had not done it justice. It was hard to think of old Magoo in this light, but the printed pages told the truth of the matter. Even a genius of entertainment like Magoo couldn’t match the the magic of the original. There is a reason why A Christmas Carol has endured for 170 years, and it is not because Mr. Magoo and Scrooge McDuck waste their valuable time remaking narrative duds. You can’t throw a cherry cordial in a department store without hitting a DVD knock-off version. I use knock-off glibly because even the best film versions are knock-offs compared to the original text. People out to make a quick buck repackaging an old product don’t pile onto a loser. A Christmas Carol endures because it gets so many of the elements of story-telling right. The plot arc is a pristine bell curve of narrative art. There are no awkward outliers to skew the meaning, nor burrs of unresolved plot points. The narrative moves forward with purposeful strides through every scene. The writing is colorful, witty, playful, and endearing. These are not words often associated with Victorian works, which is why the book surprised me so much. The greatness in the work is that the writing is also very powerful. Combining playful and powerful is a rare accomplishment in any era. If a traditional plot arc is not your thing, A Christmas Carol may not be your favorite. I wouldn’t argue with that opinion, but I would suggest that any time you read a Christmas story about a character’s redemption, that character is probably a long-lost grandchild of Ebenezer Scrooge. I totally agree with you. I picked up my copy this morning while I waited for the grandkids to wake up. If you haven’t read David Copperfield, you really should. It’s Dickens at his finest. Since that January day, I’ve been privileged to read most Dickens novels. 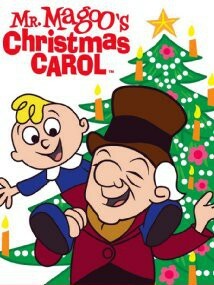 Aside from A Christmas Carol, my favorite is A Tale of Two Cities. But I did enjoy David Copperfield quite a lot too.